Learn how to get more Diamonds and unlock decorations in Magikarp Jump. 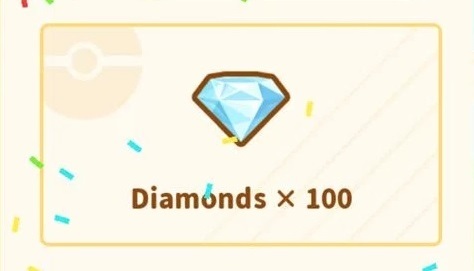 In Magikarp Jump, Diamonds are an important currency used to purchase various in-game items, including decorations, coins, training soda, and friendship items. Decorations not only make your pond prettier, but they help your Magikarp grow faster as well. 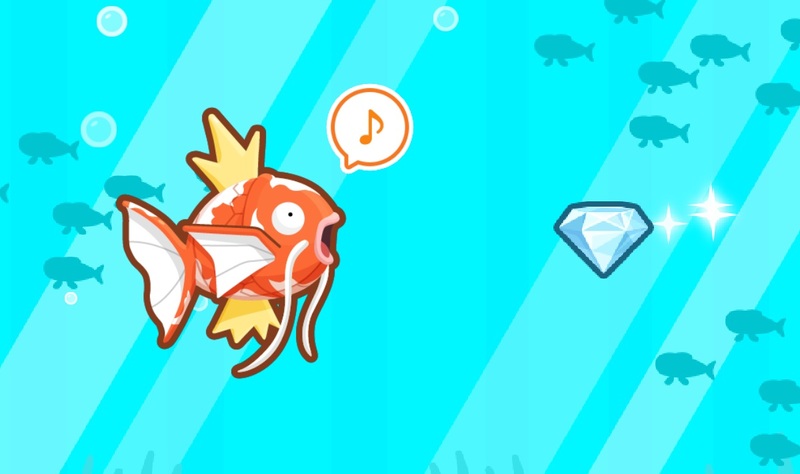 This guide will explain the best ways to get more Diamonds in Magikarp Jump so players can earn a steady flow of Diamonds without cheats. The most efficient way to get more Diamonds in Magikarp Jump is to complete achievements. Achievements will reward players with either Diamonds or coins. Each achievement will have up to five levels of completion, offering players multiple Diamond reward opportunities for the same achievement. Achievements that reward Diamonds will offer between 5-25 Diamonds upon completion. The achievements with the highest Diamond rewards are the “Number of Logins” and “Complete Objectives” achievements, which offer 25 diamonds for each completed rank. Earn Diamonds by completing league battles in Magikarp Jump. 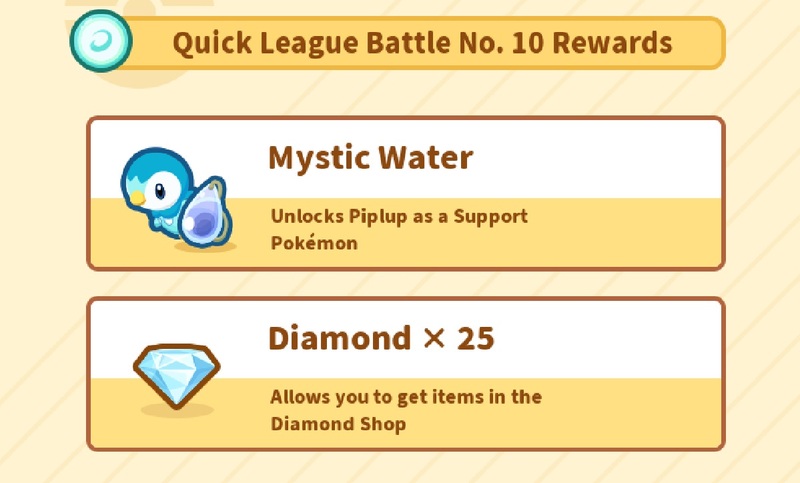 Diamonds can also be earned from completing league battles and events in Magikarp Jump.Each time you defeat an opponent in a league battle, you'll be rewarded with coins. Once you beat the last opponent in a league and complete the league itself, you'll be rewarded with both Diamonds and coins. Your trainer level will increase as well, which grants additional Diamonds each time your trainer levels up. League battle opponents get stronger as you go up in leagues, so make sure to level up your Magikarp as high as possible before diving into league matches. Competing in Magikarp Jump league matches is always worth the effort, as players are guaranteed specific rewards for completing a certain number of battles in each league. Random events and encounters that payout Diamonds will also occur throughout the game, giving you more opportunities to earn Diamonds in Magikarp Jump. Unlocking new Magikarp patterns in your Pattern Dex will reward you with extra Diamonds. As your Magikarp levels up and gets bigger, you'll eventually be able to see its pattern more clearly. You will receive a bonus Diamond reward whenever you discover a new Magikarp pattern for your Pattern Dex. Invest some coins into upgrading your food so that your Magikarp can level up and grow faster with each food item it eats. When the time comes to fish for a new Magikarp, pay attention to the color pattern of the Magikarp that you catch. 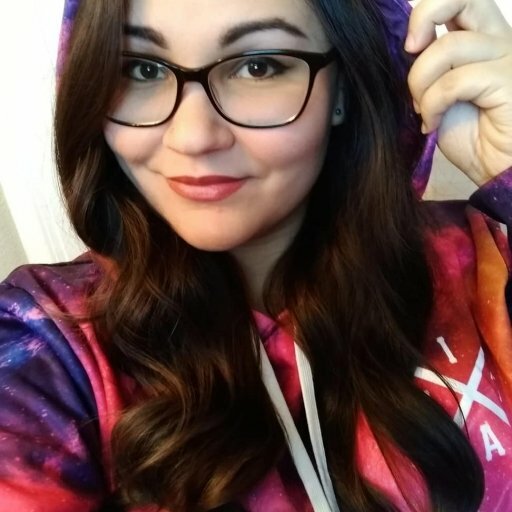 If you've already discovered all the pattern variatioins of a particular Magikarp color, send it back and try to catch another Magikarp with a rarer color pattern, such as pink, purple, or gold. Review this list of every Magikarp pattern and color type to see what fishing rods you need to catch each pattern. The quickest way to get Diamonds in Magikarp Jump is to purchase them directly. This is definitely the easiest way to earn Diamonds in the game, but don’t worry, you can still earn all the Diamonds you need just by simply playing the game and participating in league events. However, if you’ve got cash to spare and want to get a fast sack of Diamonds, purchasing them directly from the shop will be your best bet. 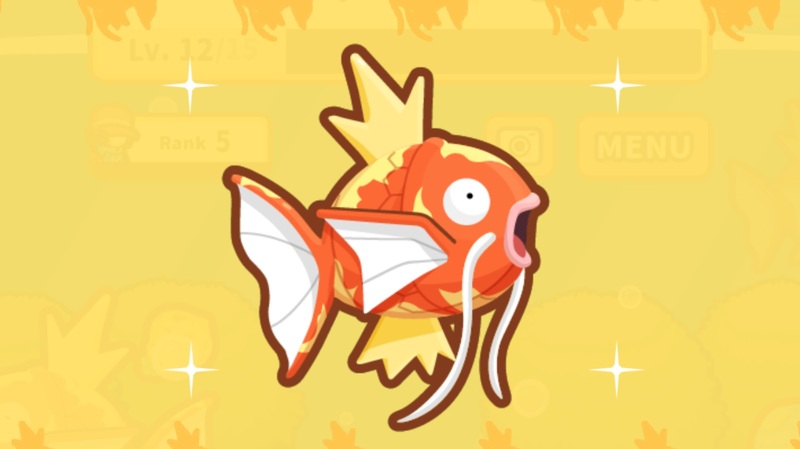 Now that you know the best ways to get more Diamonds in Magikarp Jump, you should be well on your way to getting coins and unlocking new decorations for your pond.